We are fortunate to have a Guest Blogger for our first May post. As you know, May is the Month of the Military Spouse. Every Friday this month, our fabulous Guest Bloggers will be sharing different perspectives on what MoMS means to them. Please give these bloggers some comment love, and, go check out their blogs to read more of their insight on being a military spouse and part of the special needs community. I never thought in a million years when I was just a Gal from Canada that I would be married to a Sailor. A Sailor who served in the United States Navy. The Navy has always been a part of my life. My Grandfathers were Sailors. Both fought in WWII, one in The Royal Navy and one in The Royal Canadian Navy. So I always had a sense of pride when talking about my naval family history. When I married my husband 11 years ago, I added a new chapter to that part of my life. Now, when we first got married, I didn’t realize what kind of a lifestyle I was getting in to. I was just head over heels for this Man in Uniform. I don’t think anyone is fully prepared for this kind of lifestyle. I know it takes a strong person. One that can cope on their own. One that can get things done at a moment’s notice. The thing about being married to the military, it likes to keep you on your toes and you have to be able to roll with it. One thing it does do is build your character. There is some self-discovery. It did for me. In a way I found my voice. I asked for help when I needed to. I found that I needed to put myself out there to meet friends, since I really only had a short period of time to establish myself in my community when I moved every three years. I need to find the strength within if I wanted this marriage to survive the deployments and everything else the Navy threw out us. I learned more about myself during deployments. Each deployment was different. There is no two out there that are the same. The only thing that remains the same are the emotions behind it. Each deployment my husband went on, I learned something new about myself. From the first one, where I was a sobbing mess to the one he is currently on, where I am a calmer person. I learned that is alright to have those days where I feel blue. And it’s ok to have those days where everything is going well. I found that it’s ok to ask for help when I needed it, whether it be with the kids or just needing someone to listen to me vent. I find that, strength comes from within and everyone has it, they just have to realize it. Children. Most military families out there have them. They tend to make you realize that you aren’t the only one dealing with the military lifestyle. That “Woe is me” mentality that normally happens when your spouse deploys gets thrown out the window, when you have to take care of children. Children that are coping with the absence of a Parent or having to say goodbye to friends. As a military spouse, you make sure that your children are thriving in every duty station. It can be hard. Sometimes the military spouse becomes both parents, a Mother and a Father. Trying to find that balance is often difficult, but you find it. For me, I take one day at a time. Each day presents something new. It could be a good new or a bad new. But I don’t know that until the new day begins. I celebrate the small victories. Like, “Yes we made it through the day with a hurt or scrape” or “We had no emotional upsets today” I think the key to coping is how you cope. Don’t sweat the small stuff. Panic when you need to. I think what it means to me, to be a Military spouse, is support. These men and women deserve to have someone that loves them. Someone that supports them. Someone they know will be there for them when they need it. Through the good times and the bad times. I look back at my grandmother’s generation. The WWII brides. The ones that had to deal with the extreme. No communication for long periods of time. The ones that still loved their men in uniform despite the wounds, both mentally and physically. The ones that never knew what happened to their loved ones. Some had kids, some didn’t These were the women that embodied what it meant to be a military wife. Military Spouses, new or seasoned need each other. We are, are own support network. We can all learn from each other. From Branch to Branch, we all have a sense of what it means to love and support those who serve this country proudly. I am a proud Navy Spouse and I wouldn’t have it any other way. I am originally from Canada. I have been married to my Husband and the Navy for 11 years. I have been all over the world from England to Hawaii. I am the mother to 3 very awesome kids. Two of which are on the Autism Spectrum. We have two dachshunds that complete our family. We are currently living it up here on the East Coast. I am very proud of my daughter, her strength, her resilient . 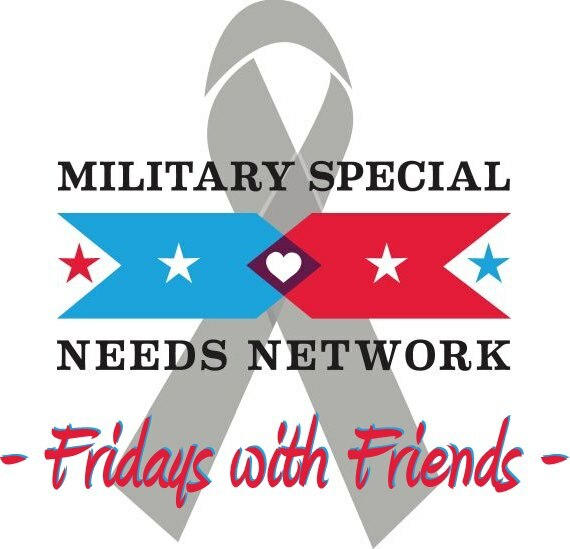 This entry was posted on May 3, 2013 by militaryspecialneedsnetwork in All and tagged canada, Friday with Friends, Military Special Needs Network, military spouse, month of the military spouse, MSNN, sea bag, spouse kids and special needs don't come with a seabag, us navy.